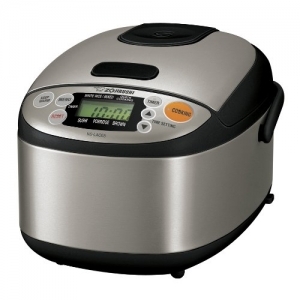 After 15 hours of research and through nine top rated rice cookers we are happy to say that the Cuckoo Electric Heating Pressure Rice Cooker CRP-M1059F is the best small rice cooker available online! 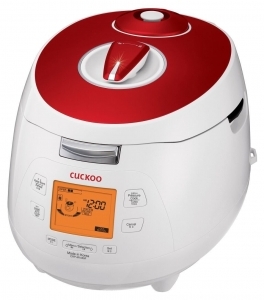 (Damn they really need a cool, short name for it) With its convenient make up, consistent quality whether it be white rice or brown, and extremely fast cook times Cuckoo delivers a great Korean rice cooker for singles, couples, small families, and anyone on the go. If your rice eating needs are constant, various, and hurried then Cuckoo is here for you. 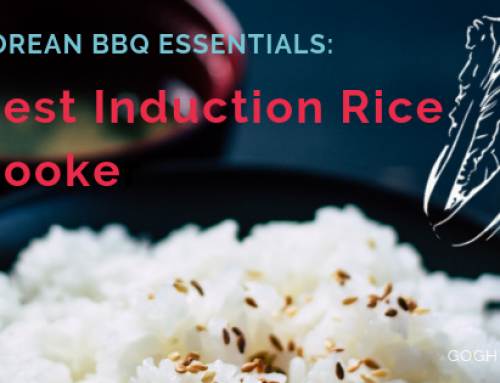 These small Korean rice cookers consistently produce great tasting white and brown rice with little fuss and the shortest wait time out of all reviewed brands. 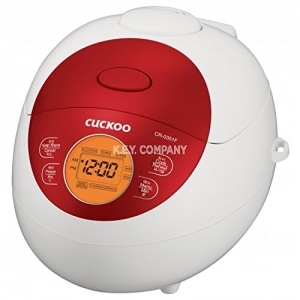 Seriously, you get the best of both worlds here: you can set a timer, cook your rice overnight, and have it kept warm until you get home from work OR you can get home, realize in a second of sheer panic that there’s no rice to eat, and let Cuckoo do its thing. White rice in under 30 minutes and brown rice in under an hour? That’s still faster than Grubhub and beats the two hours of other brands (for brown rice). 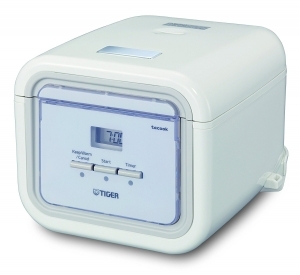 There are a few gripes regarding the ‘Keep Warm’ function not lasting as long as other rice cookers, but in my opinion you shouldn’t be keeping anything warm for more than twelve hours regardless of how great the rice cookers might seem. Either eat your rice or put it in the fridge and reheat as needed. I would understand a little annoyance at the Korean song/voice announcing things (I’m still not entirely sure what it’s saying) and at the steam release valve (will startle you the first time) but those aren’t deal breakers to me in the least, and I’m a light sleeper. I was initially turned off by the design here… reminds me of the late 80s Apple computers or the plethora of crappy electronics that were being pumped out in the 90s… damn am I dating myself right now? Look past the kitsch look and you got yourself a great little workhorse here. It boasts more versatility than Cuckoo (you can steam other dishes/food simultaneously with your rice and you can even bake little cakes!) but it gets knocked down slightly for taking a long time on getting your rice cooked. While the wait time is much longer than other brands it makes up for itself on quality, additionally with its nifty timer function you should be good to go with a little beforehand planning. Honestly, these two were probably the closest I’ve seen in terms of which one gets the top spot, design notwithstanding it’s more a decision of what’s more important to you, the quicker cook time or more versatility (lower price point doesn’t hurt either). 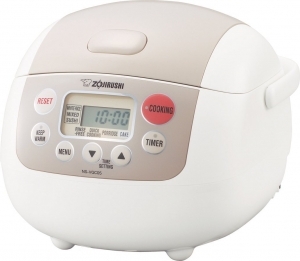 All in all Zojirushi appears to have a pretty tight grip on the rice cooker market, and they’ve been doing great for a long time. They definitely know what they’re doing, they are the most technologically advanced on the market with sensors that can tell when the rice is done cooking (as opposed to a timer that treats every bowl of uncooked rice the same), a nifty computer chip that enables greater control over scheduling your rice needs, a retractable cord that takes care of excess cord on your counter, and a carefully designed program for cooking great brown rice (difficult to do with its tough outer coating). 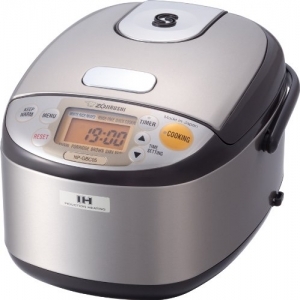 Zojirushi honestly makes the best rice cooker you can get… for the six months… year or two if you’re lucky. Zojirushi’s downfall lies in their lack of durability; all of the high tech parts means that there’s more to break, and more to replace. The NS-LAC05XT (damn these names) definitely doesn’t have as many durability issues that other Zojirushi’s seem to have but regardless, with the high price point you should be able to depend on this beast to keep chugging for a number of years. Ironically, the higher the price point the more hardware issues Zojirushi seems to have. Again it makes a great pot of rice, that’s not the issue here. A consistent complaint seems to be that the ‘Keep Warm’ option starts malfunctioning after a few months of use, resulting in spoiled rice in increasingly shorter wait times. The display screen lets condensation in from the cooker itself, and standing water you can’t reach is definitely something you want to avoid anywhere let alone in a kitchen. The non stick coating seems to degrade relatively quickly and like a lot of electronics on the market these days the one year warranty seems too on the nose for our liking. My mom has had this Korean rice cooker for the past two to three years so I am partial to this little buddy. Like most brands it seems the issue is not the quality of the rice that comes out in the end, and Cuckoo again delivers with their quicker cooking times with no discernible drop in quality. But there were a few reports of durability issues, I haven’t seen any problems with my mother’s, but although she uses it constantly she is notorious for taking great care of what’s under her roof, myself included :). It has a pretty decent price point so I would consider it worth the risk (issues seem to pop up after a year of use), the sleek egg look is oddly satisfying as well. Not to beat a dead horse or anything but regardless of how much you pay for a Zojirushi you need to steel yourself for some problems a year or so down the road. Great rice but the non stick coating can peel without careful washing and use, it can completely die out, error messages abound, and questionable rice quality the more this is used are common issues. It’s pretty telling that all of the rave reviews are from within a couple months of purchasing while go past a year or so and you start seeing the negatives emerge. This is definitely an intriguing little guy. Apparently this is what you need if you’re trying to get to the pinnacle, the epitome of perfect rice. 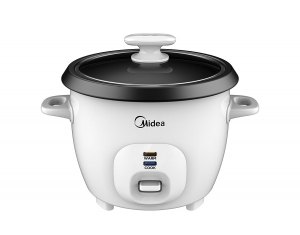 But in the end… it’s just a pot, you actually need to do all of the work yourself, if I get a rice cooker I want the machine to be the one doing all the cooking. 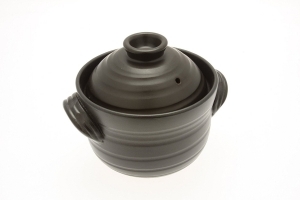 Honestly though, I would love to have one of these in my kitchen, they look great and I can never have too many durable, well designed pots. Also, there’s a certain Zen peacefulness that comes from the purity of form and function with cooking rice in the way it was done for centuries. 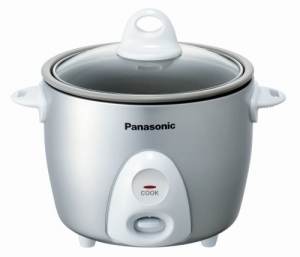 But… this doesn’t fulfill what we or most shoppers are looking for in the Rice Cooker World. Now we’re getting into the bare bones, no bells and whistles, basic as you can get rice cookers. Honestly, this style was the first rice cooker I ever owned and for a poor, lazy college student in a tiny dorm these are great. This is really just a hot plate and pot in one, which was great for late night ramen parties and fulfilling my hungry college student needs. Also, as cheap as they are durability issues aren’t really as concerning. 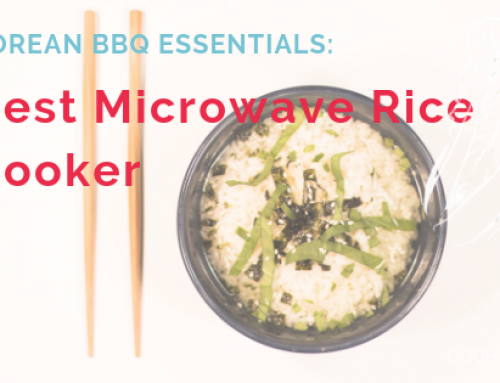 However, without any of the automatic features, keep warm options, etc this doesn’t exactly take care of the majority of your rice cooker needs. This worked great for me because a dorm is so small, you kind of need to stay in the same room while this is working to make sure it doesn’t boil over or burn. The Panasonic pretty much has the same pros as Midea’s little workhorse, but with more cons that when paired with its slightly higher price point isn’t worth the headache. A lot of customers report difficulty in getting their rice to come out cooked properly while others report breakdowns after a couple months or so. When there aren’t very many options or automatic features you might just be better off with a hotplate and an actual pot… you’re going to have to figure out the ratios and watch the thing go anyways. My favorite rice cooker I have ever owned was a small, janky, little thing with no features, bells, or whistles. We would put in some rice, set it in the middle of my dorm room floor, and my friends and I would crowd around it eating straight out of the pot. Paired with some microwaved spam or some other randomness we scrounged up an you got yourself a great late night snack. That’s what we’re starting off with here: small rice cookers meant for small apartments, college dorms, feeding a family of one or two as opposed to five or six. Our maximum capacity cutoff is three cups (uncooked)/six cups (cooked) rice, which should be plenty for two with some leftovers. We decided to make this as easy as possible. We wanted to look at rice cookers that everyone in the US would have access to buy and that had a good amount of data that we could peruse through. We chose Amazon for its near ubiquitous use for online shopping, went straight for “rice cookers”, sorted by customer ratings, and went down the list looking for any that claimed three cups of uncooked rice or less. We settled on three cups of uncooked rice (six cups cooked) as that is the standard payload for a couple with some leftovers. First thing, of course, is to build out the stable of reviewed rice cookers. We’ll be going down our list as quickly as we can but if you have any rice cookers you are curious about hit us up and let us know. We are continuing our great journey into the hardware side of the culinary world, come along and help us see it through! 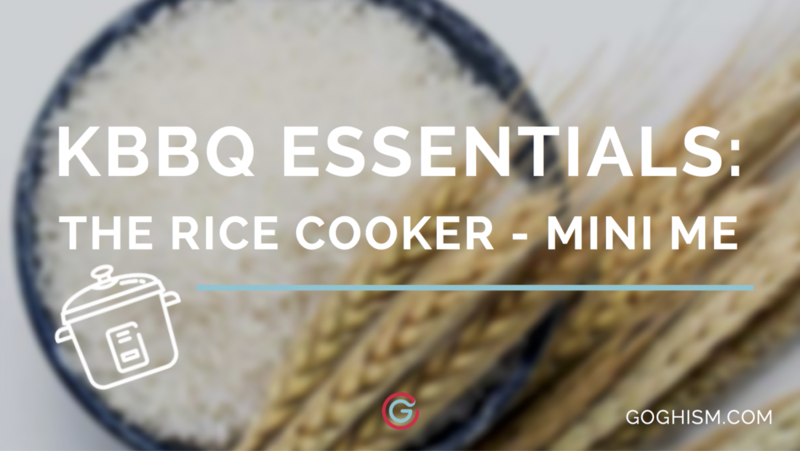 It was great seeing how many rice cookers there are out on the market that do a great job of what they’re supposed to do… cook rice. But like any piece of hardware durability seems to be a consistent and major issue for these babies. Also, I know I harped on this a bunch in our Korean BBQ Grill post, but these companies really need to come out with some palatable names for their babies. Writing about something that is a jumbled bunch of letters and numbers drives me up the wall. Regardless, it’s reassuring to know that the well being of our rice eating brethren lie in good hands. May your rice be always hot, fluffy, and perfect.